Home » Featured Flag » Once a Mother, Always a Mother! Back home tonight. What a busy ten days we have had. 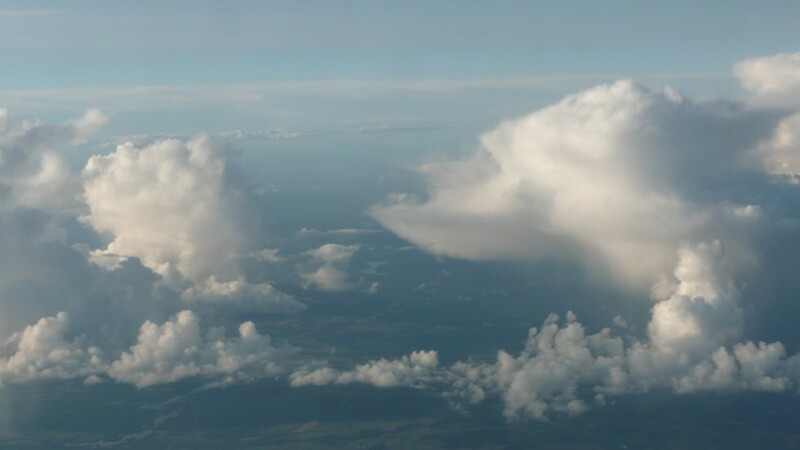 First a smooth flight with wonderful views of clouds and the fields and forest below as we flew west . 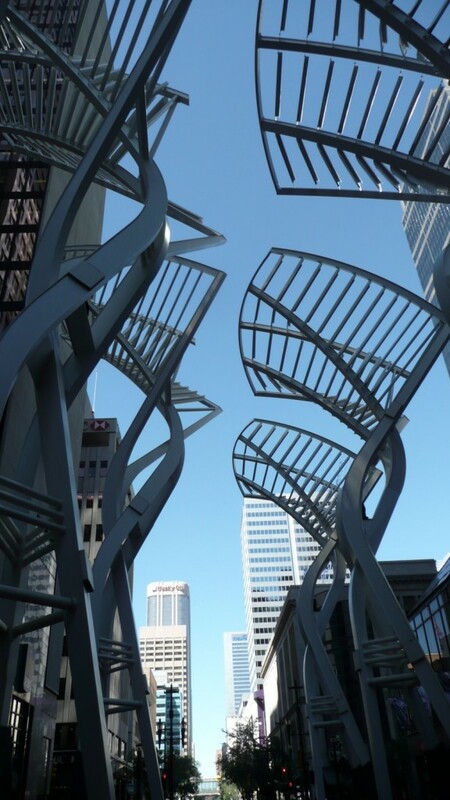 . .
Then a walk down Stephen Street in Calgary under wonderful blue skies . 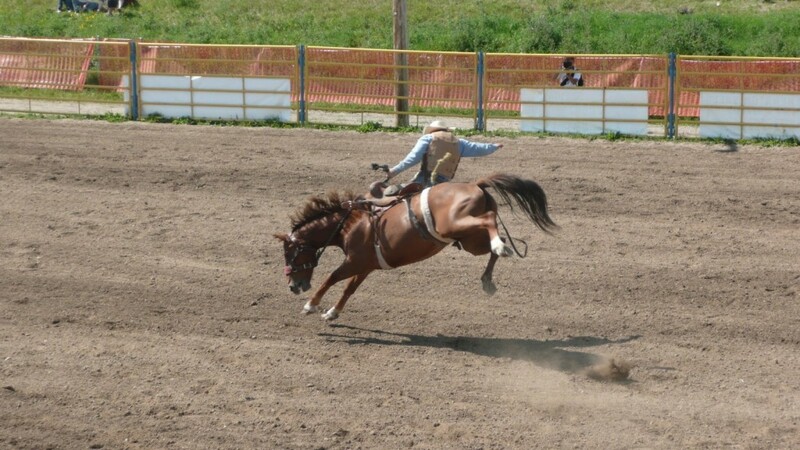 . .
a rodeo in Airdrie . 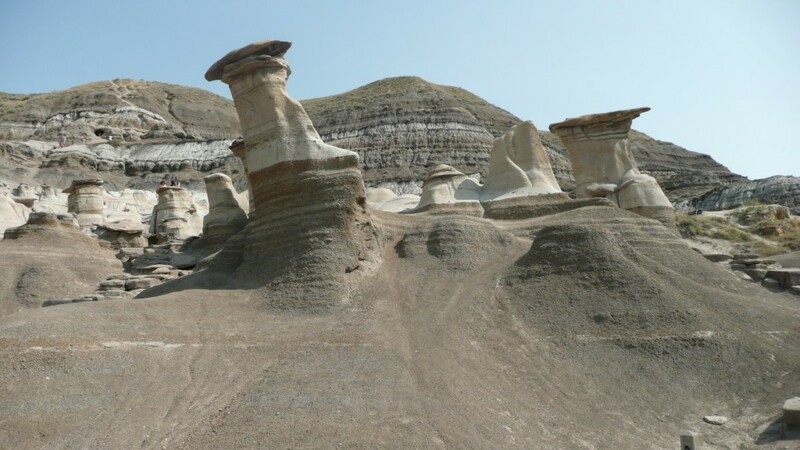 . .
a visit to Drumheller on a day when the thermometer registered 40 degrees Celsius and a brisk dry wind was blowing . 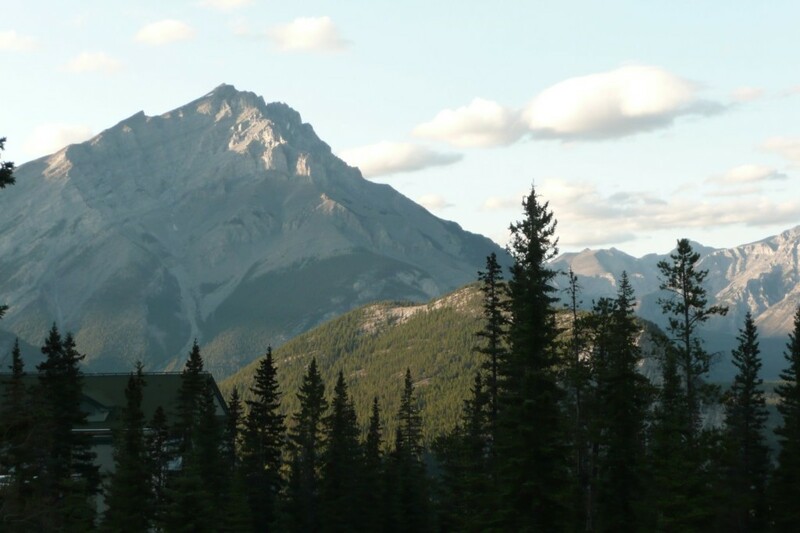 . .
An afternoon in Banff amidst the glorious Canadian Rockies . 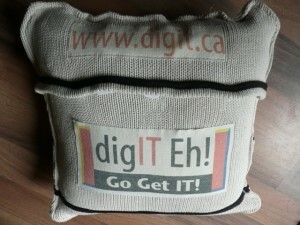 . .
And the creation of yet another of my ‘memory’ projects …. My daughter-in-law entreated me to help her solve the problem of a crowded closet by finding a way to help preserve my son’s memories is a more compact fashion. 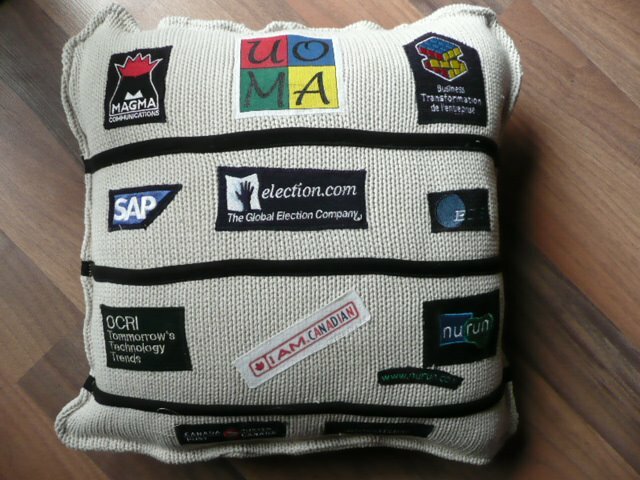 The result – a pillow constructed using the sweater my son wore on their first date as a base, logos from a pile of too small golf shirts that represented past work experiences and work related events and trim cut from one of the golf shirts. What do you think? Did I mention that the memory quilt with T-shirts from high school sports activities was a hit?